The Acqua di Gò was together with a couple of Hugo Boss scents one of my first, in my small and modest collection, of which I was nevertheless quite proud. I had worn the edt very gladly in the summer and it was always extremely well received. Whether with friends, family or at work, AdG almost always went! At some point I lost a bit of interest in this classic and others, "monster scents" like Gaultiers Le Male and Invictus by Paco had to be found. Yeah, yeah, those were the days... Good! So I continued to prefer other fragrances and when AdG Essenza came on the Mart, it almost missed me. Essenza should have a better durability and a stronger projection. That's all I wanted! Nevertheless I was quite sceptical, because it had to be easy to top with such a weak etd. At that time Invictus was unfortunately already extremely widespread and so nothing stood in the way of the test for Essenza. The edp was actually more intense and came quite close to the classic AdG but... it had a slightly metallic touch that i just couldn't handle. A few years later AdG Profumo came on the market. Cool bottle, better performance and more masculine scent, was the divise. Boha, I was curious! I tested this several times. The first time it was too heavy for me. The next times I had compared it with the classic AdG and the incense was again too much for me. Even if it became calmer in the course, the prelude was too violent for me and simply inappropriate for a summer smell. The Acqua di Giò Absolu! 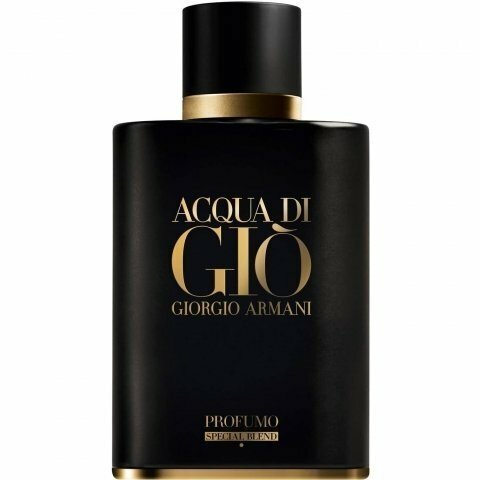 I had given up on Armani's Acquas. And when I left the fragrance pyramid of the Profumo "Special Blend", I didn't feel like it anymore! Even more incense than in the normal AdG Profumo and then with a fir! Is it now going from the beach to the resinous forest? So I didn't even have this scent on my screen anymore and then it stood there, in a perfume shop which I know only existed in the net, in the middle of Poland. In fact, Notino has several stores worldwide. Strong! The "special" here, however, had me then so from surprised. In the beginning the typical AdG DNA in combination with the mentioned fir tree was very good. It does not go into the dark forest, but cools the scent down a bit and fits perfectly into the aquatic freshness. Finally! After this wonderful start, I had to test the "normal" Profumo. I felt the incense here clearly more pleasant and less intensive, than with the older brother. The further course of the fragrance remained similar overall, with the patchouli coming across much more naturally in the special blend. It strongly reminds me of the classic edt of the past, only a little more mature with a more ready breast and without appearing overloaded. Even if only nuances have been refined here, you can still perceive them, which made the fragrance more suitable for summer and more harmonious. Finally again a beautiful Acqua di Giò with a great bottle! This scent is so beautiful and can easily be a signature scent worn all year round. The performance is among the very best lasting 12+ hours with very good sillage and projection without being cloying. This fragrance reminds me of a day at the beach and more specifically that skin scent that you have after swimming in the ocean and spending time in the sun, it's salty and fresh like an ocean breeze and I can see why so many people love it so much. For me I will never be without a bottle of this masterpiece!